In 1989, Mikhail Gorbechev was in his fourth year as leader of the Soviet Union. George Bush Sr was beginning his first year as president of the U.S., taking the Republican baton from Ronald Reagan who in 1987 had stood before the Brandenburg Gate in Berlin and in a speech challenged Gorbechev to "tear down this wall". 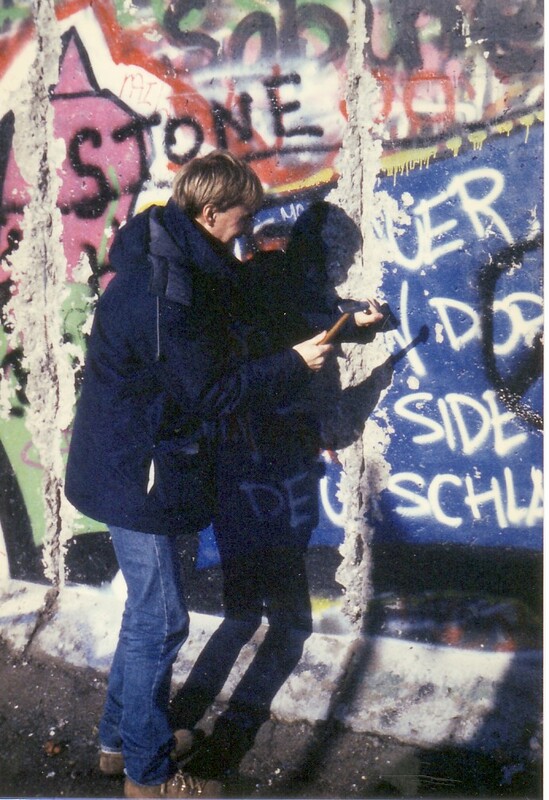 Of course, Reagan was referring to the wall which had separated the city of Berlin into two parts administered in the East by the Russian influenced German Democratic Replublic and in the West by the Western influence Federal Republic of Germany since the early 1960s when Berlin had become a major flash point in the Cold War between Russia and the West. In 1989, I was living in my home town in Michigan, having recently graduated from College with a Bachelor of Science degree in Computer Science and having been to Africa and back, I was working for a small computer consulting company but was restless to do something else. I had already many years before acquired an ambition which this modest midwestern town could not contain. It was then that my attention began to turn from the more exotic countries to European ones. That summer, an airline was offering discounts for trips to Europe beginning after the summer tourist season. I convinced a buddy of mine to accompany me on a trip to Germany where a friend of mine from High School lived. I had taken German lessons in High School and in College and was curious to see what use I could make of my education. We planned our trip for late November. As Summer turned into Fall, it became clear from reports out of Europe that a series of historic events had been set in motion that would change the course of history and the relations between the Soviet dominated countries behind the "Iron Curtain" and Western Europe and its ally, the United States. In 1988, Gorbechev's restructuring of the Soviet System was well underway and he introduced the concept of Glasnost, which provided greater freedoms to the Soviet people. It provided the backdrop for what was to happen in the Soviet dominated countries of Eastern Europe as a Pandora's Box had been opened providing hope and momentem to the aspirations of these countrys' citizens to enjoy greater freedom. In late August of 1989, Hungry, the most "Westernized" of the Eastern Block countries, removed border restrictions with Austria, allowing its citizens to travel freely across that border. As East Germans were able to travel relatively easily within the Eastern Bloc, 13,000 of them who were in Hungary took the opportunity to cross into the West. Demonstrations of East Germans against the government of Erich Honecker broke out in September and lead to his resignation in mid October. Meanwhile, immigration from East Germany to the west continued through Hungary and Czeckoslovakia when on November 9, the East German govenment decided to allow refugees to exit directly across the border in Berlin. From that date, people would come to the wall with picks and sledgehammers, encouraged by the lax attitude of the border guards, to begin taking away souvenir pieces of the wall. A few weeks later, my buddy Steve and I arrived in Germany to begin the tour we had planned months before. We landed in Frankfurt am Main, and made our way to Cologne, making a stop in the Netherlands before heading to Berlin. We found Berlin to be still very much the divided city it had been for decades. As we found out by trial and error, Americans were allowed to cross into the East only at Checkpoint Charlie. All but one of the stations on the one metro line which crossed from the west into the east were still closed. It was still very much the Berlin of the cold war although it was clearly the beginning of the end. I would return to Berlin a decade later to witness the transformation of that city and find that the Berlin Wall had become but a memory. 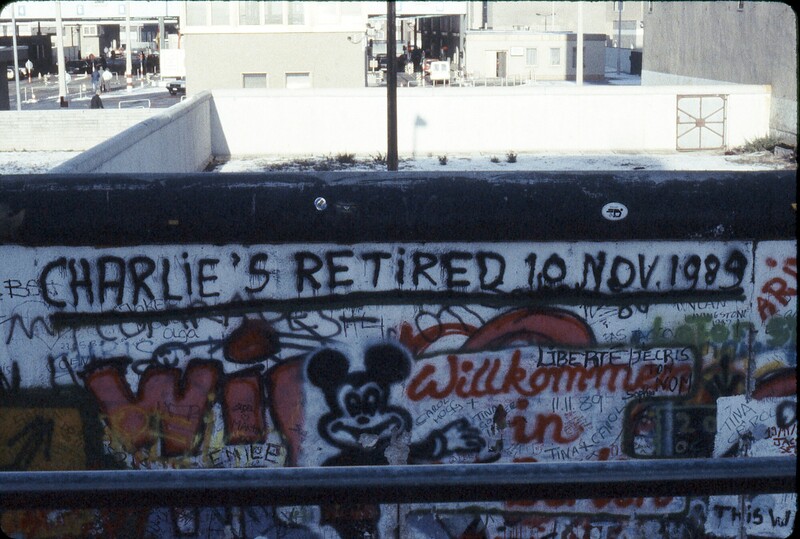 In late November of 1989, we were able to chip off our souvenir piece of the wall, and observe the lines of East Germans getting their allowance of West German Deutschmarks and the many Trabants, that ubiquitous East German car, parked in the streets of West Berlin. We continued our tour of Germany, travelling by train to Bavaria, and making our way back to Frankfurt for our return flight home. I had enjoyed my experience in Europe. It was the first of many experiences to come. In early 1990 I quit my job and moved to Ann Arbor, Michigan taking a job as a software developer with a local company. I spent my off hours studying French at the University of Michigan in order to build on the language experience I had gained in Africa. In the next few years I would travel twice to France on vacation, the first on a solo hike across Provence which ended prematurely from physical exhaustion, and a second, much more successful trip as part of a volunteer group restoring an old chapel in Southern France. It was a time of confidence building as I discovered my ability to work and interact with a diverse group of people from European and North African countries. The town I grew up in was founded in the mid 19th century by immigrants from Europe led by a church minister. From its beginnings it was, and has remained over the years, a highly religious community. My parents were quite active in their local church, and throughout my upbringing, I attended the church services, Sunday school, sang and played bells in the youth choir and participated in various other social activities organized around the Church. The Church played a major role in my early life. 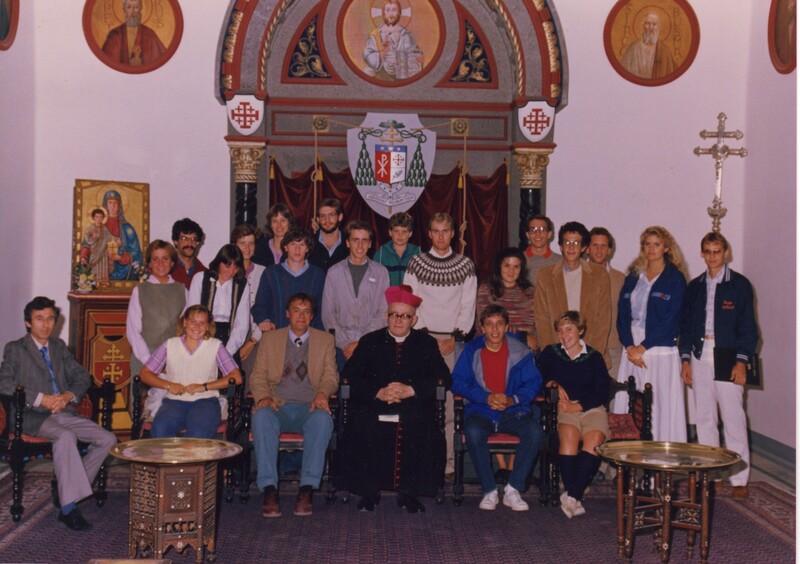 Like many religious denominations, the church I attended sponsored missions in various parts of the world. Once in a while, the missionaries would return to the U.S. to share the stories of their activities. My parents knew many of them and I knew many of them also through their children with whom I had grown up. At some point, I began to be fascinated by the stories the missionaries would tell. It seemed like such a meaningful existance, to be helping others in a foreign land who were disadvantaged. It resonated with the lessons of altruism I had been taught and the stories I had read in the Bible. Later in life, as I drifted away from religious orthodoxy, the fascination would continue based on more secular and humanistic grounds. 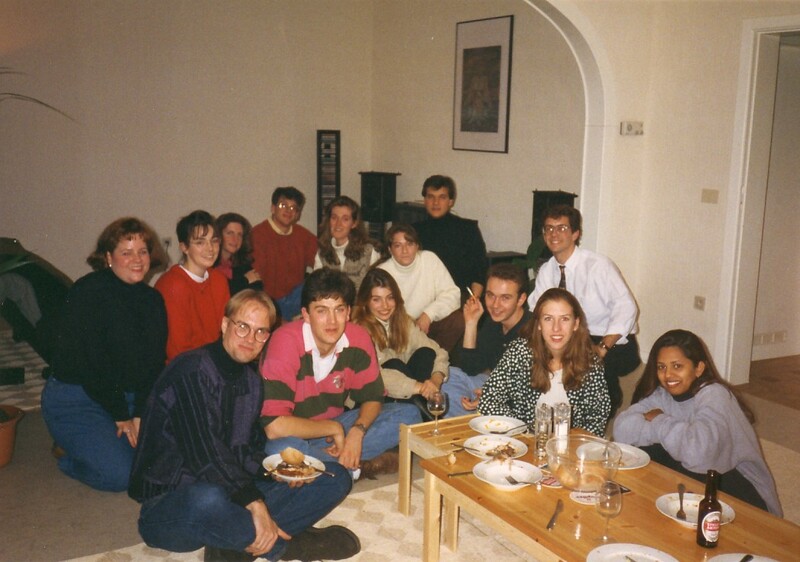 Studying conflict resolution in Jerusalem was my first real foray in this direction. Looking back, I believe that I chose this program over other foreign study programs because of the sense of meaning I felt it would bring to my life. It seemed more adventurous and daring as well. I needed to test my boundaries. In Jerusalem, there was much to discover that was exotic and challenging and thought provoking. I was delighted to discover that living in such a place suited me. It was stimulating and envigorating. Yet as with all study programs, the result remained academic and when it was over, I felt there was more that I needed to achieve, while at the same time, unsure of how, exactly, to reach what I could consider the next step. In returning to the U.S. I embarked upon a number of adventures which allowed me to continue my self discovery. I worked for a summer camp in far off Colorado, for a government agency in even farther off Oregon protecting endangered species, even returning to New Mexico for a summer to help protect threatened natural environments. I was thrilled by my new found independence. But I was still faced with what I would do upon graduating from University. Obtaining a traditional job in my field of specialization did not seem to promise the same kind of stimulation and meaningful existence I had become accustomed to in my travels. And I knew that my previous experiences had all been intermediate steps, not destinations in themselves. I ended up turning to the government as a way to explore a career in doing humanitarian work abroad. The international aspect was a given, working domestically was of no interest to me. During my University career I had met others who had volunteered with the government in overseas humanitarian projects and admired their apparent intrepidness and aura of cool worldliness in the way they would tell the story of their experiences as activists providing assistance to developing countries. As I imagined myself following in their footsteps I got a good feeling about the idea of taking the skills I had learned in University and applying them to the direct benefit of countries less fortunate than my own. It seemed somehow glorious. 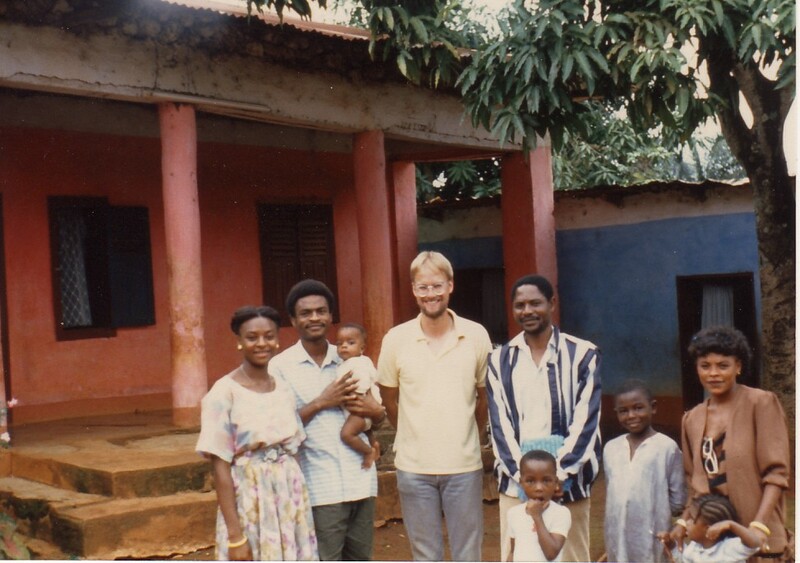 And so it was that in the summer of 1988, I found myself in Cameroon trying as hard as I knew how, (perhaps too hard), to teach children a subject which had frustrated me in University in a town far away from any kind of support network. It had all started so well. The training, which was notorious for ruthlessly weeding out the unfit, I adored. Surrounded by local intellectuals and like minded compatriots, I thrived in my new environment. The accommodation was Spartan, the food at times barely tolerable, the roads muddy or dusty according to the weather, and yet I reveled in the adventure and discovery of this new environment, the feeling of personal achievement, and the fellowship of the Cameroonians who I met. It was only when I left the protective community of this rather elite group of people that I started to feel isolated, alienated, overwhelmed, and devoid of the means, opportunity and strength to pull myself together. In retrospect I can only identify a single mistake that I made, which was to voluntarily give up teaching a subject which well suited me to teach one for which there was a great need, but which in the end exhausted me. It is difficult to say if things would have worked out differently if I had refused to make such a sacrifice. I had high expectations of myself, which were perhaps, and also in retrospect, too demanding. In the end, I had to abandon this endeavor which had become so near and dear to my heart and return to my country much to my great disappointment and with personal feelings of humiliation. I had lost all sense of direction and suffered a great deal in terms of my personal opinion of myself and my abilities and it took me several years before I would regain a sense of direction. In the meantime, I struggled to get over the idea that performing humanitarian work in a foreign country was not the right choice for me at that time of my life. I flirted with the idea of working for the Church but this too ended in disillusionment and disappointment which would seriously call into question for me the competence of those working for the Church and more or less put an end to any consideration of the Church as a vehicle for my aspirations. I think that discovering one's limitations always has to be a difficult experience. It's disappointing to be sure. It calls into question one's understanding of who one is, one's capacities, one's purpose in life, and one's metaphysics. I suppose that one can only hope that the passage to the next chapter occurs as rapidly as possible. In my case it lingered rather longer than I would have hoped, a matter of years rather than months. But eventually it would occur, and not, I must say, without the help of some good friends who helped me along the way to nurse my wounds. I'm not an especially nostalgic person. Looking back at my life is not something I do a lot and I think it's a good sign. I have always encountered new challenges along the way, new areas of interest which keep me facing forward. But at certain times I feel the need to take a 360� look around to try and make a little sense of it all. 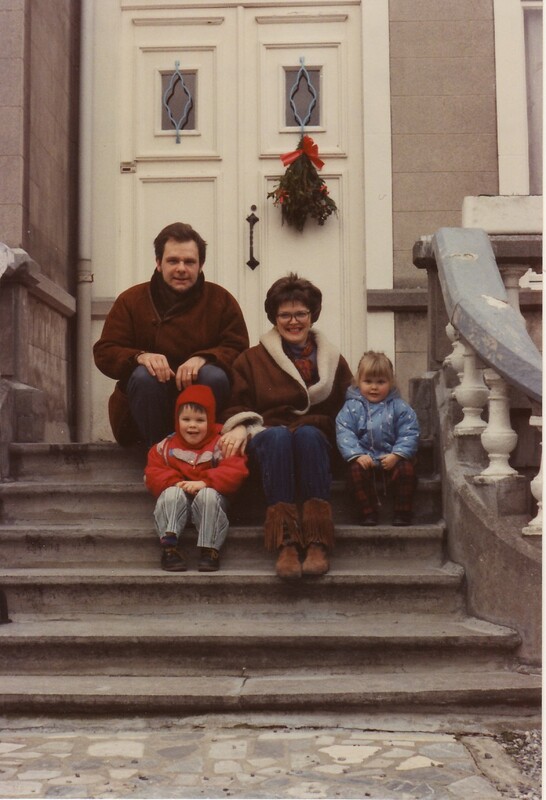 How does an American technocrat from the Midwest end up living and working in Northern France? To answer that question, I think it's necessary to first explore how it was that I became interested in a life outside of the U.S. Afterall, for much of my life I never really considered such a possibility. As a child I became aware of a world outside of my Michigan home town through a series of family trips. On a number of occasions my Dad would borrow a tent trailer from my Uncle and we would hook it up to our Caprice or Impala as the case may be and the family would go off on an excursion. I remember trips to Ludington, Michigan and the lakes of the Traverse City area. The Sleeping Bear dunes and later on, a trip to the Upper Pensinsula. Sometime during my childhood we made a family trip to Florida and another trip to Colorado both with tent trailer in tow. I'm not sure that any of these trips was responsible for giving to me the kind of Wanderlust that has led me to live in Europe. 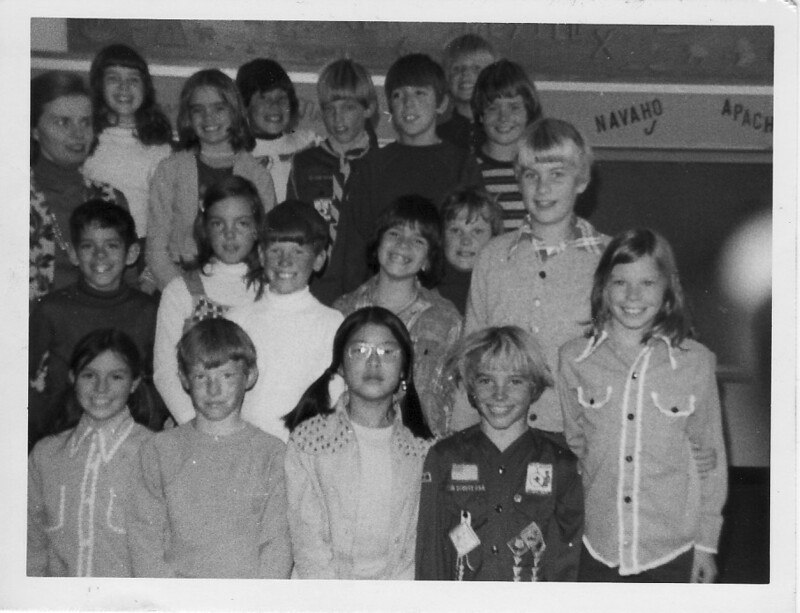 But when I was 10 years old, I had the opportunity to live for a year in what was to resemble living in a foreign country, the Southwestern state of New Mexico. For anyone unfamiliar with the state, it borders the country of Mexico to the south and is otherwise surrounded by the states of Texas, Arizona and Colorado. It is a state with a heritage that goes back long before the founding of the United States. Ancient indigenous cultures constructed cities on the semi-arid plateaus which subsequently developed into the Indian pueblos of today. Later on, the Spanish would come to look for gold and conquest and spread the Catholic religion. The ancestors of the Spanish still reside today in the rural communities of northern New Mexico. And after the Conquistadors, the cowboys of the great western expansion of the U.S. would come and add their mystique to the land. New Mexico is a state of great diversity in its people as well as in its sweeping, breathtakingly beautiful landscapes. 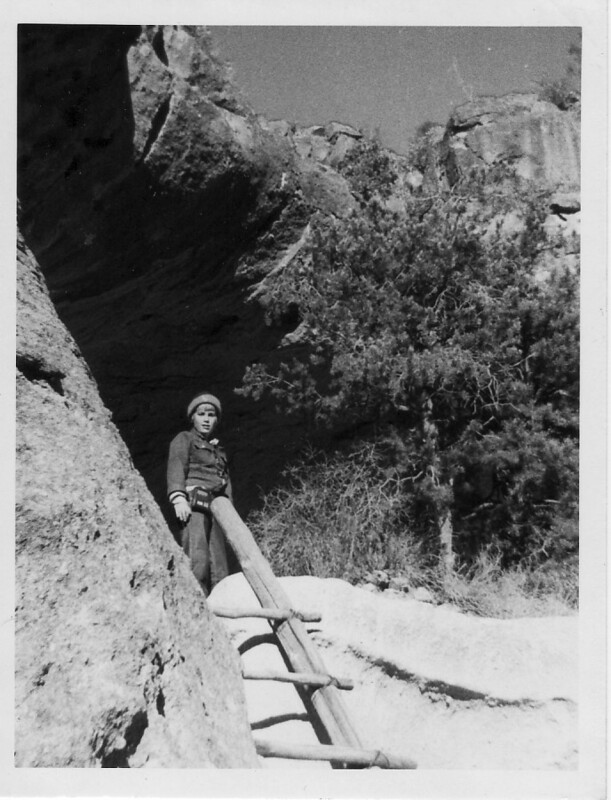 As a university professor, my father had the opportunity to take a sabbatical leave, and that year he had done just that, taking a position in the former World War II top secret laboratory at Los Alamos north west of the state capitol of Santa Fe. Los Alamos is surrounded by Native American reservations, national forest and old cattle grazing land grants dating back decades. Even today it remains fairly isolated. There's only one highway which traverses the town and you can only reach the city on this highway. In itself, the city is a model of contrast. In its semi-arid environment on the foothills of the Jemez mountains, it attracts highly educated scientists and their families to live surrounded by the Native Americans, the Spanish settlements, the ranchers and the forest rangers. For me I think it's true to say that it was a foreign place for me in the sense that it was exotic. It was at the same time stimulating. The schools were filled with the children of highly educated scientists. It was truly a different world from the more mundane middle class neighborhood of my Michigan home town. And it was a place full of mystery and discovery. Strangely enough, after a year, I had had enough. I had enjoyed staying there but I could not imagine living there any longer. It was not my home. There was, perhaps, a limit to the amount of stimulation I could absorb and it was time to let it all sink in. Upon returning to Michigan, I felt that I had come back changed from the experience. I began to feel a sense of dissatisfaction with the community I had returned to. As I became a teenager, I felt a growing restlessness. Occasional trips to backpack and camp in the west were not enough to satisfy a growing wanderlust. In highschool I spent a summer working at a Summer camp in rural Kentucky. This too became an experience of discovery and was an important milestone in the transition from child to adult. I think that the passage from High School to University is concurrent with a passage of a life marked by the guidance of others, parents, elders, teachers, etc, to a life marked by one's own aspirations. It was at this time that a certain bi-polar pattern of a need for security, accompanied by a need for adventure began to emerge as a major theme in my life. My career as a technocrat was determined by my choice of Computer Science as my major. The options for securing a job coming out of such an education seemed secure and the subject matter fit my introverted personality. At the same time, I was won over by a college buddy who, having spent his pre-college years in Egypt as the son of a missionary, was pining to return there. We made what seemed to us a splendid plan, spending the Fall of our sophmore year studying conflict resolution in Jerusalem and spending the Spring in Cairo at the American University. In the end it was I who went on to study in Jerusalem while he stayed back to continue his new life in America. The fact of the matter is, I've been writing ever since I was a teenager. I've just kept almost all of it to myself. And thank goodness for that as most of it was pretty dull stuff. I still have a stack of notebooks on my shelf which were spared from being thrown into the trash. I haven't gone through any of them in a while, but maybe one of these days I'll have a look to see if there are any ideas worth reviving. Despite my dissatisfaction with the stuff I've written to date, I still hold out hope of redemption. After all, people can change for the better as they get older. Over the course of the years, one learns what can be interesting to others and what should be kept somewhere out of sight. Writing offers the promise of reaching out to others, of sharing ideas. It's a means of expression. A way of communicating thoughts and ideas which can't be communicated in day-to-day living with the individuals with whom one normally interacts. It can add a whole new dimension to one's life. So there it is. I'm looking for a new dimension. After 40 something years, the first dreams have been realized and its time to go after some new ones (or come back to some old ones which never quite came to life). So with my keyboard as a walking stick, I set out on this new adventure of self discovery.